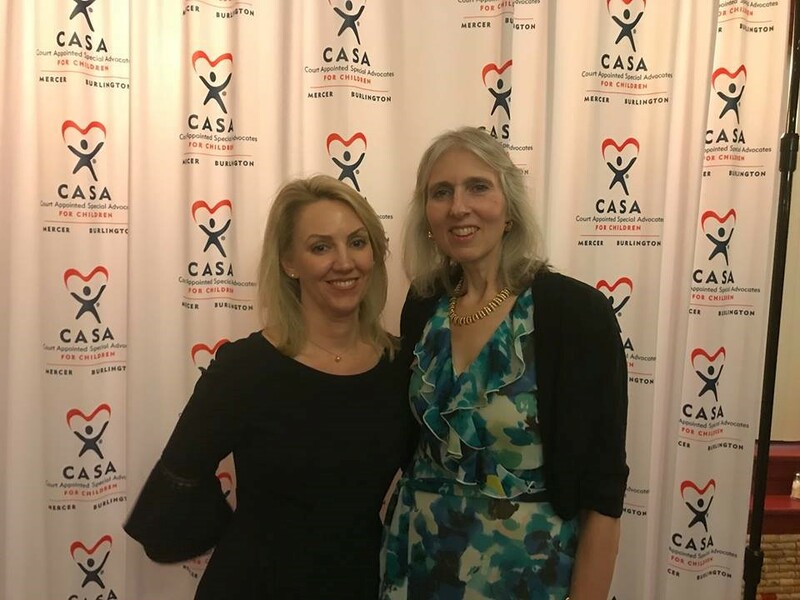 Katherine Carmichael, Executive Director, CASA for Children of Mercer and Burlington Counties and Phyllis Kepner, CASA volunteer and first recipient of the Eileen Fralinger Service Award. 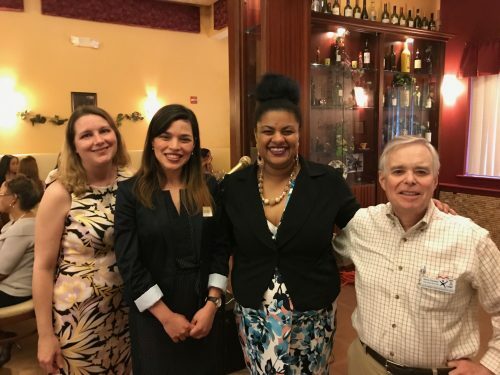 More than 60 volunteers, staff, family court judges and board members attended the 2018 Burlington County CASA Appreciation Awards dinner at Casamari in Burlington, NJ on May 15. CASA for Children of Mercer and Burlington Counties is celebrating the volunteers with years of service pins and certificates. This year a special service award was established in memory of Eileen Fralinger, a dedicated CASA volunteer who passed away in November 2017. Eileen’s daughter Erin Fralinger and sister, Lorraine Reilly accepted the plaque in her memory. Several of CASA’s Burlington Staff at the 2018 Burlington County CASA Appreciation Awards dinner (L-R): Renée Paci, Director of Programs, Ines Ramirez, JD, CASA Supervisor, Jade Pollock, CASA Supervisor, Harry Cassidy, Advocate Recruiter. the children she serves and will thoroughly investigate each aspect of the situation until she has all the answers. She is someone that will be involved in her children’s life as long as they wish, and have received support from her even after her role as CASA has been done. Phyllis is an inspiration to all who know her.